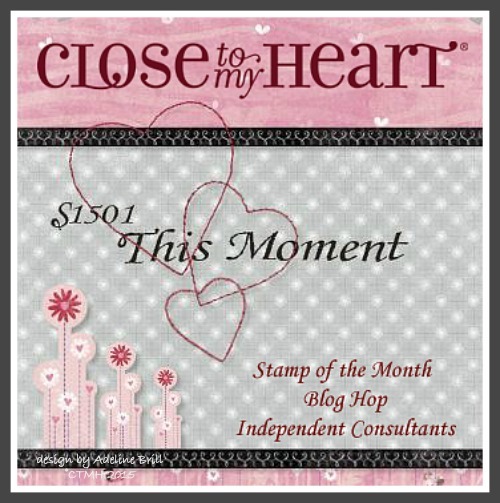 Welcome to our Close to My Heart Stamp of the Month Blog Hop! We will be featuring the January SOTM, which is This Moment, a set of 12 stamps. 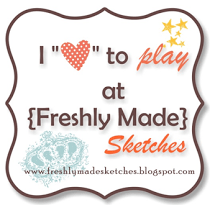 If you have come here from Jacquelin Green’s Blog , you are on the right path! The blog hop is a great big circle, so you can start here and work your way all around. If you get lost along the way, you’ll find the complete list of participating consultants on Melinda’s Blog. This month we have over 60 Close To My Heart Consultants sharing their creations using this month’s SOTM and other great Close to My Heart products on their blogs. To visit each blog for some great ideas just click on the link at the end of the post on each blog to move to the next one! Here we go! Supplies used are all Close to My Heart: Make it From Your Heart Volume 2 (Pattern 25), Heartstrings Paper Packet, White Daisy Cardstock, Honeycomb Embossing Folder, Lagoon Hearts Washi Tape, Black Ink, Glacier Ink, and Aqua Dots. I wanted to do a card that wasn’t Valentine’s or love-themed as you’d think of when you first look at this stamp set, so I chose the Hello image and arrows. I started off with Pattern 25 from Make it From Your Heart Volume 2 but after looking at the finished card I’m not sure that it resembles the pattern anymore. That’s the great thing about these books is that they give you a great start, whether or not it looks like it when you are done! For the “Hello”, I stamped first in Black Ink, then cleaned my stamp and inked in Glacier Ink and offset the image. It’s kind of a funky image as is and this adds character to the card. Now “Hop” on over to Michelle Battitori’s Blog to see her work! Be sure to visit all the Consultants at their Blogs to get some great crafting ideas and other fun ideas! Remember, the This Moment Stamp Set is only available through the end of January. What a wonderful card- that background embossing really stands out and makes me want to pick the card up! Love this with the Honeycomb embossing folder….it really adds depth. Yep – you nailed it. Great idea for a card. Love how you used this set in a non-Valentine way!!! The embossing is fantastic on this card!! So crisp!! Love it! Great card. I can visualize this card made with many different colors and papers. Love the colors and the Honeycomb embossing on your card. « Extra! Extra! Hostess Rewards!